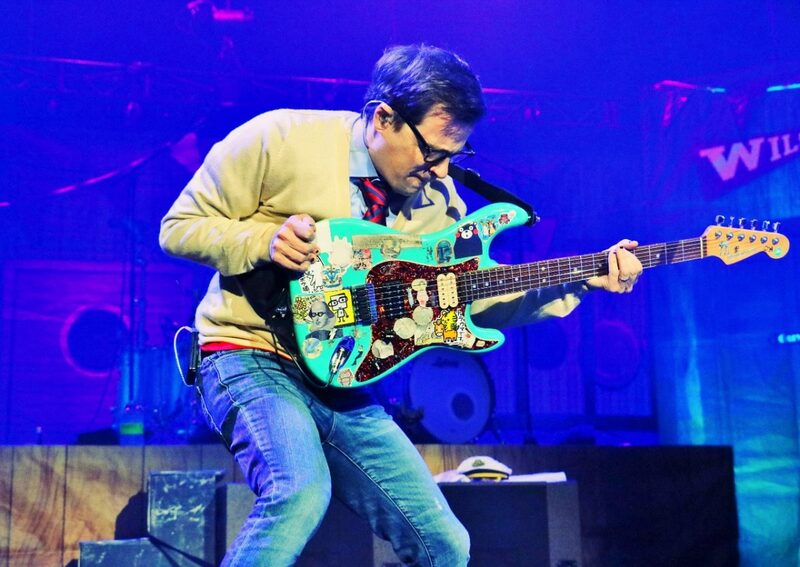 Pixies and Weezer joined forces to the delight of music fans at DTE Energy Music Theatre on Friday July 13th. Pixies have always been gentleman (and a lady) that make the kind of music they want to make… music that is completely atonally recognizable. That fact was on grand display from the moment the band started their set. Pixies began their night at DTE in Clarkston, MI walking onto the stage and taking to their mics (or drum set). 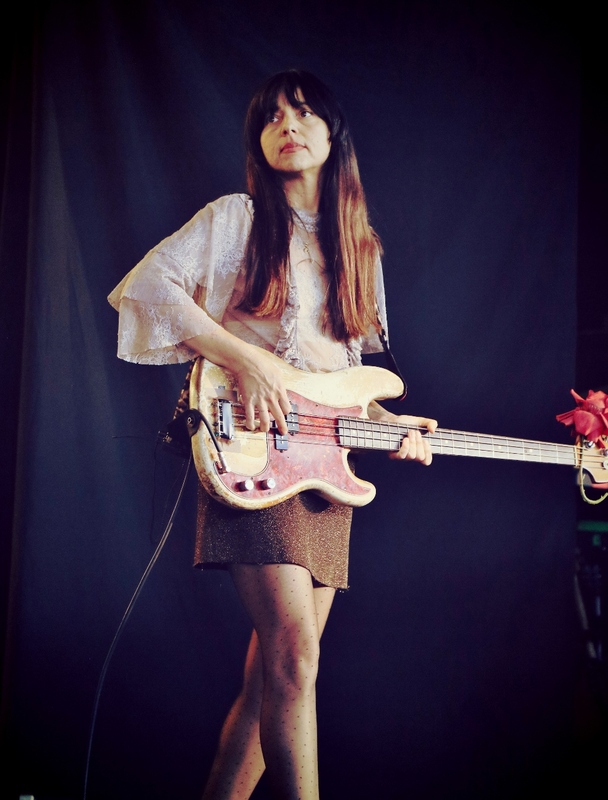 Bassist Paz Lenchantin addressed the silent and waiting crowd acapella with the unmistakable “Ooohh” from “Where Is My Mind”. Paz displayed a red flower at the end of her bass, adding a lovely touch. After several “Oooh”s, fellow Pixies joined in, and the epic track began full force. 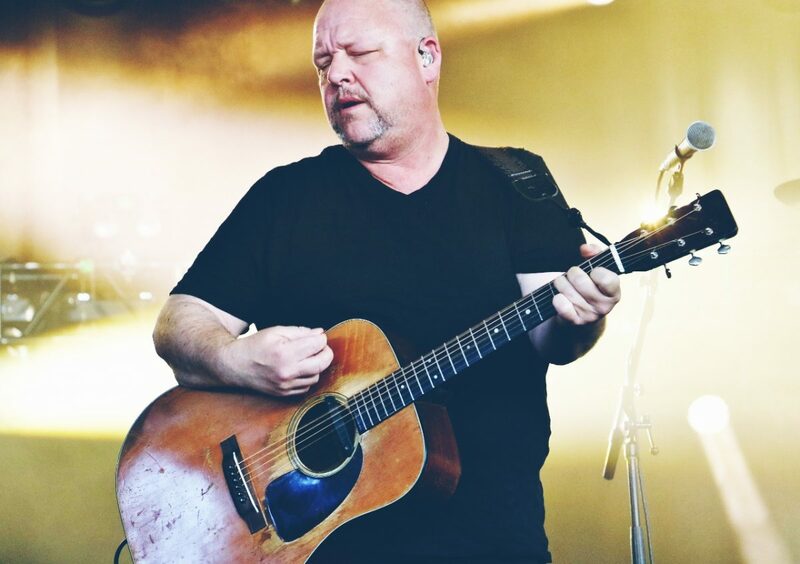 Lead vocalist Black Francis strummed away on a beat up acoustic guitar. Pixies have been a strong presence in the music scene in the late 80’s with the release of their first stand-out LPs, Surfer Rosa and Doolittle. After a break-up and hiatus that lasted over a decade, they reemerged (sans bassist Kim Deal, plus Paz Lenchantin) with tours that led up to the release of 2014’s album Indie Cindy. Most recently, the band released the awesome album Head Carrier in 2016. 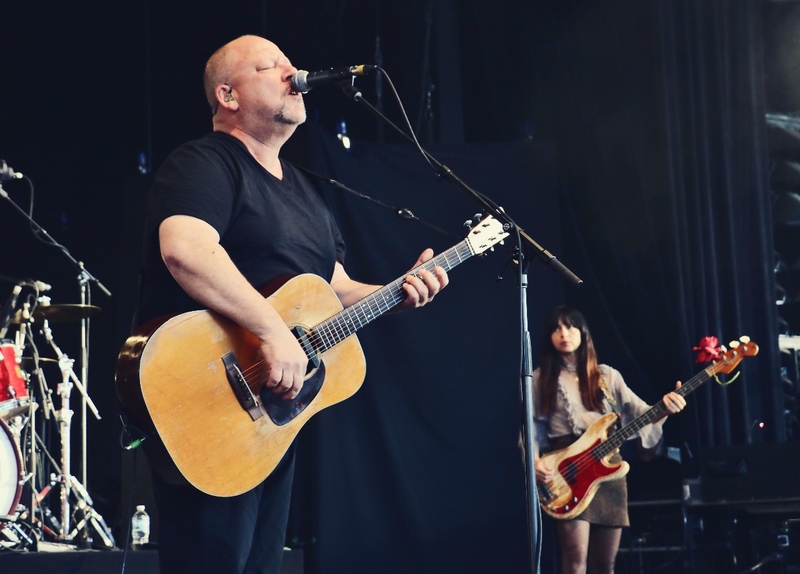 Pixies breezed through their set, letting the incredible music speak for itself. Throughout their set, the band was bathed in smoke and colorful lights that added a great feel and emphasis on each song. Around mid-set during “Vamos”, guitarist Joey Santiago put on quite a show while removing his hat and sliding it along his guitar strings. He even created some effects with his amp cord. After the sonic display, he tipped his hat and gave a small bow as the crowd cheered. 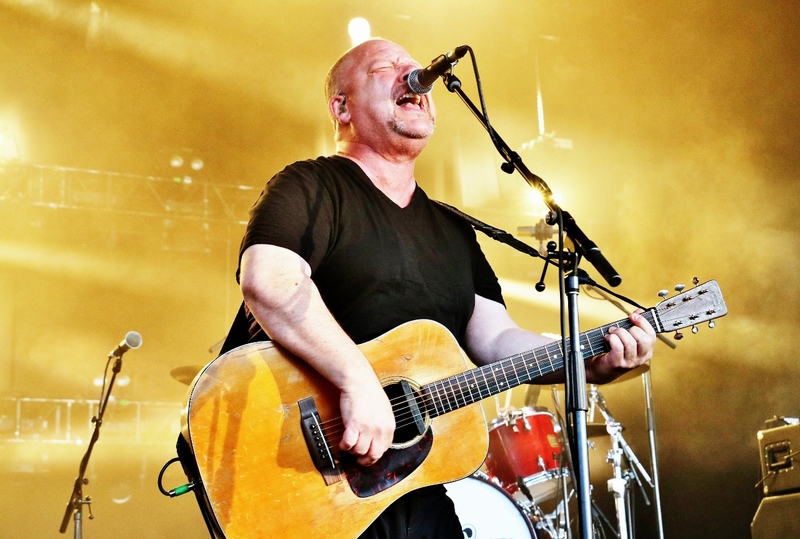 For “Gouge Away”, vocalist Black Francis swapped out his acoustic guitar for electric, for the first time that evening. The terrific lead singer remained electric throughout the night. After Surfer Rosa’s jam, “Cactus”, the band presented an awesome cover of “Winterlong” by the great Neil Young. 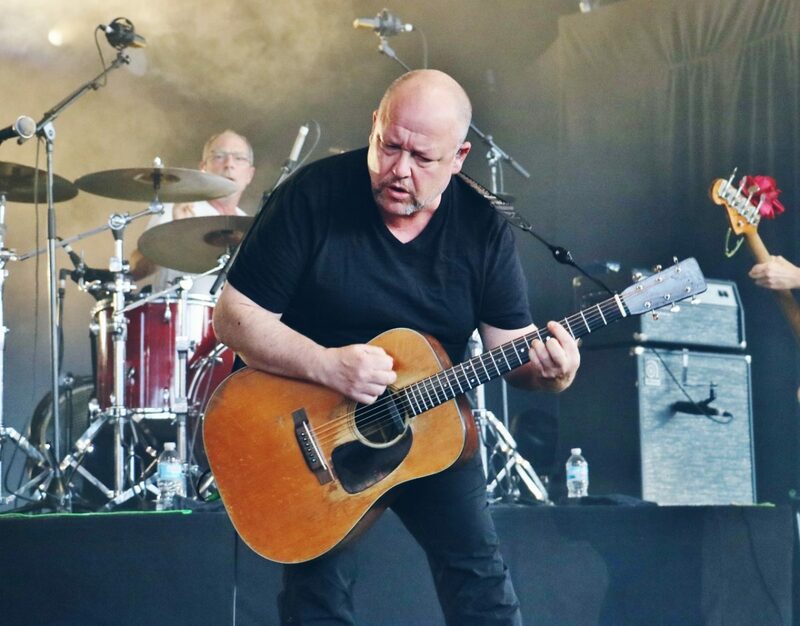 Pixies portrayed jams from across their discography with notable contributions like 2014’s “Silver Snail”, 1990’s “Ana”, and (to the delight of the crowd) Doolittle’s “Mr. Grieves”. Several knowledgeable audience members nodded their heads, and sang along to each song. It was obvious that fans had turned out in droves to welcome the night’s co-headlining act. 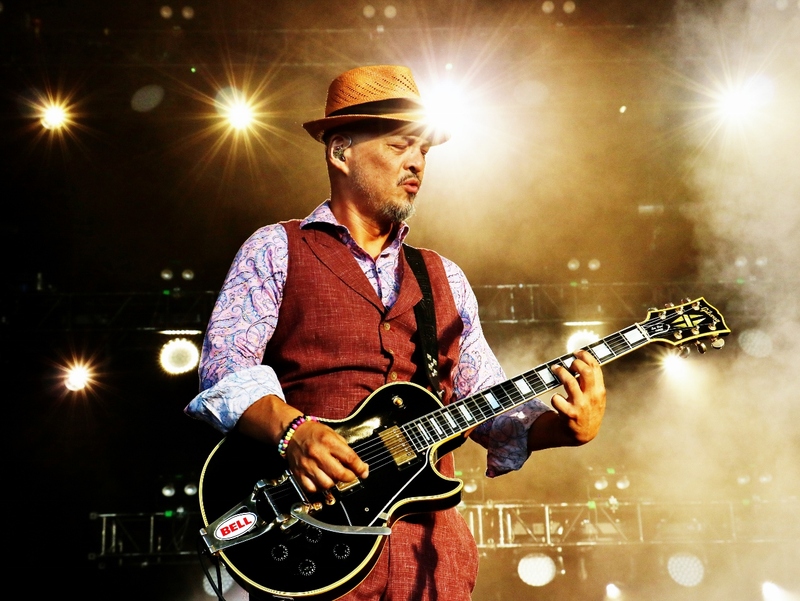 Pixies also represented tracks from Head Carrier with jams like “Bel Espirit”, “Um Chagga Lagga” and “All I Think About Now”. After “All I Think About Now”, Paz Lenchantin exclaimed, “Thank you Michigan.” The audience responded with cheers. Pixies closed out their night with the memorable songs “Debaser”, “Hey” and “Gigantic”. 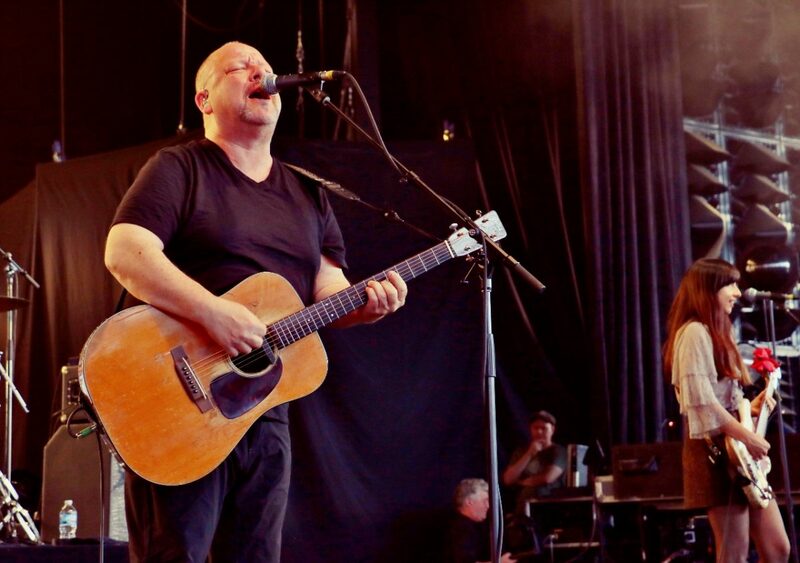 With over 20 songs under their musical belt, Pixies took center stage to bow together. The crowd positively erupted. 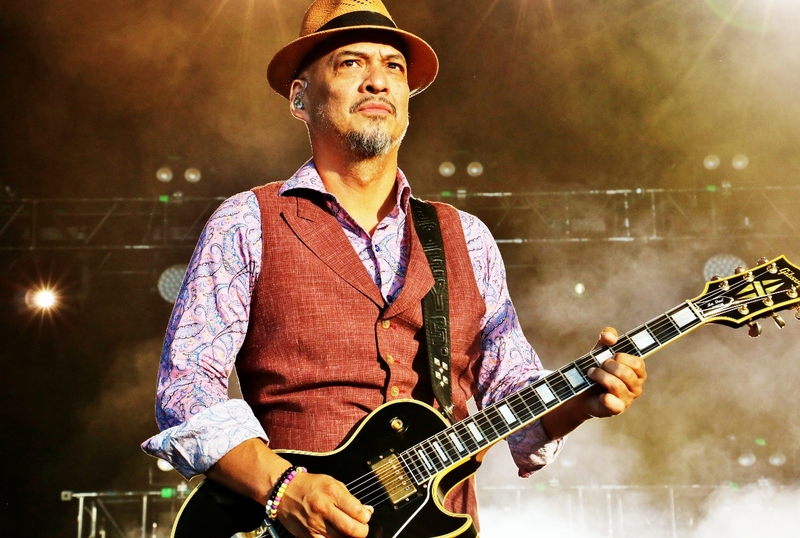 Joey Santiago once again tipped his hat, and the exceptional band exited the stage. Pixies have definitely had an influential hand toward Weezer, as well as many other notable artists, so the pairing made for a smooth transition from one band to the next. After Pixies wrapped up their night, some rearranging was done, and the stage was set for the evening’s closing act. The atmosphere of the packed theater was electric with anticipation. A piece of black fabric that had concealed the set up dropped, and Weezer began their set of non-stop rock. 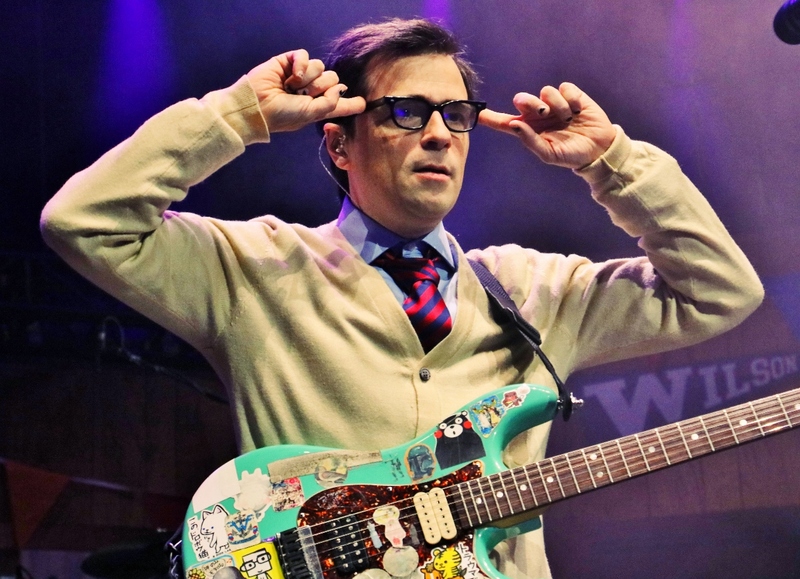 Weezer did not shy away from their big hits and well-known songs, starting out with 90’s staple, “Buddy Holly” (complete with the throwback intro). 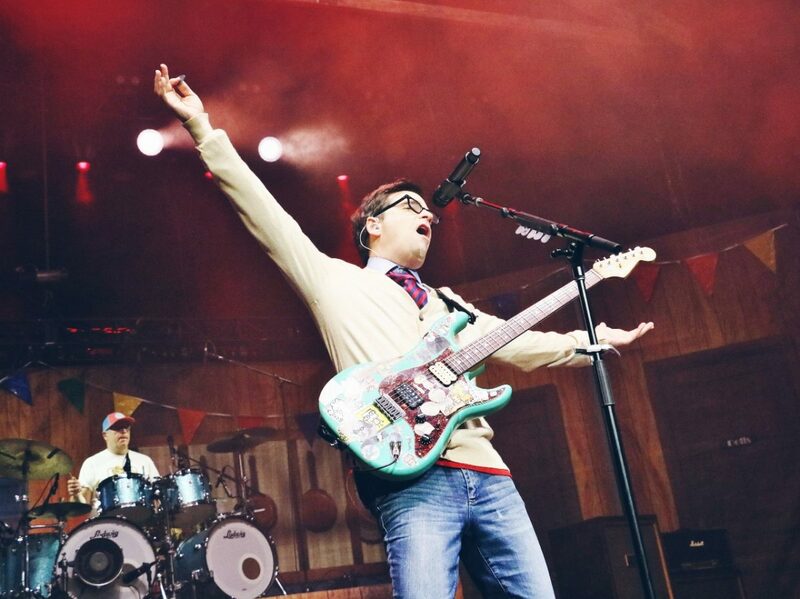 Appropriately, lead vocalist Rivers Cuomo donned an ivory sweater, button-up shirt, tie, and black spectacles. Next up, Weezer jammed into “Beverly Hills”, with the front row going wild! 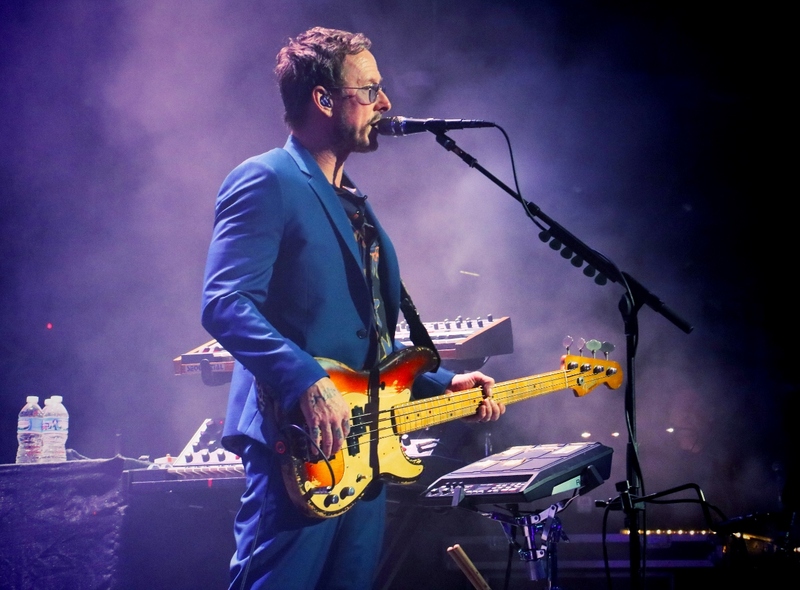 For “Pork and Beans”, the band swapped vocals for a few lines between band members, with a huge cheer from the crowd for each gentleman’s contribution. Their stage was decorated with backdrops much like a living room, with high school pendants (one reading “Jefferson High School”, others with the band member’s last names), and even a picture of a fish. A color-changing neon “W” completed the vibe. Next on the docket was “Undone – Sweater Song”, which filled the theater with cheers, smiles, aisles full of dancing folks, and many singing along. Memorable riffs continued with “Hash Pipe”. Lead singer and guitarist, Rivers Cuomo did not remain a stranger to positively shredding on his guitar. Often times he’d head to center stage, as close to the fans as he could be, wailing away. 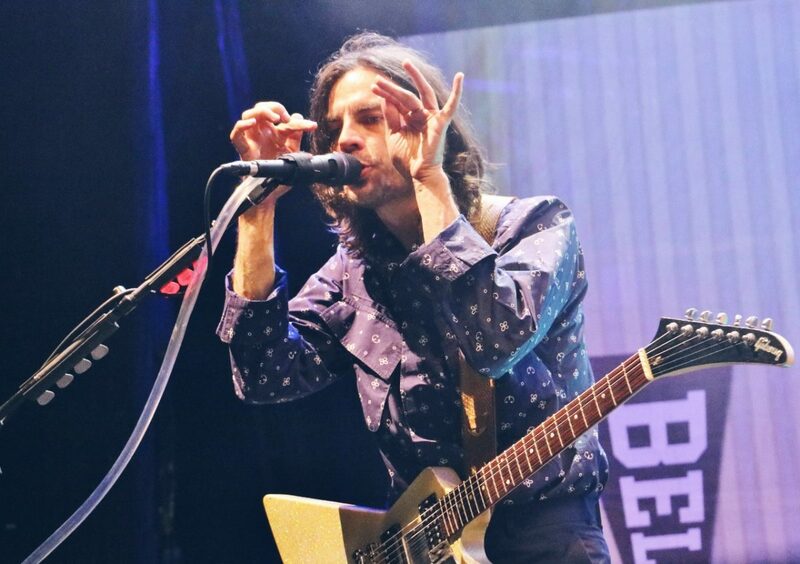 During “Perfect Situation”, guitarist Brian Bell maneuvered around the stage, at times even standing atop some amps. The audience sang along to the closing chorus’ “Ohhhhh oh”s. The stage set up changed, and the living room lifted away. In its place emerged a garage with a total jam feel: white door, rock god posters, and even some hanging tools. A recognizable golden light up W raised to the forefront as well. Soon after, Rivers’ sweater was torn away to reveal a red shirt underneath. The crowd went crazy for the outfit change. After “Troublemaker”, Rivers exlaimed with a wave, “Alright children! Let’s take it back to 1994, The Blue Album. This is ‘In The Garage'”. After the fitting track, amist posters of AC/DC, Motley Crue and Kiss (to name a few), Cuomo kept the dialogue rolling. “Now we’re gonna go back to the 1960’s when it all began with a band called The Turtles. It’s called ‘Happy Together’. 1-2-3”. Everyone in the audience sang along to the warm and timeless classic. Weezer slipped in an interlude of Green Day’s “Longview”, still including the fellow rockers, sans “El Scorcho” lyric. Cuomo held up his mic to amplify the crowd, who were singing back to every note. When “Happy Together” concluded, Rivers quickly put on a sailor hat and white nautical jacket. He waved, and ran into the crowd, high-fiving through an aisle as he moved upward. Other members of the band took on the singing duties of “Keep Fishin'”. Cuomo made his way through the theater and to the waiting S.S. Weezer (a small wooden craft). Folks at the back of the theater and out on the lawn were delighted at their suddenly closer seat to all of the action. Upon reaching the vessel, Rivers declared, “Hello!” He placed a white guitar across himself and started into “Island In The Sun”, yet another of many songs whose beginning thrilled the crowd. Phone flashlights and lighters soon emerged, swaying in the dark. After holding out one of the final “mooooooooreeeee” notes to close out the song, Rivers continued, “Ok. Cool. I’m going to try one of my favorite songs of the 80’s by a band called a-ha. This is ‘Take On Me'”. The delighted crowd sang along, even to that impossibly high note. 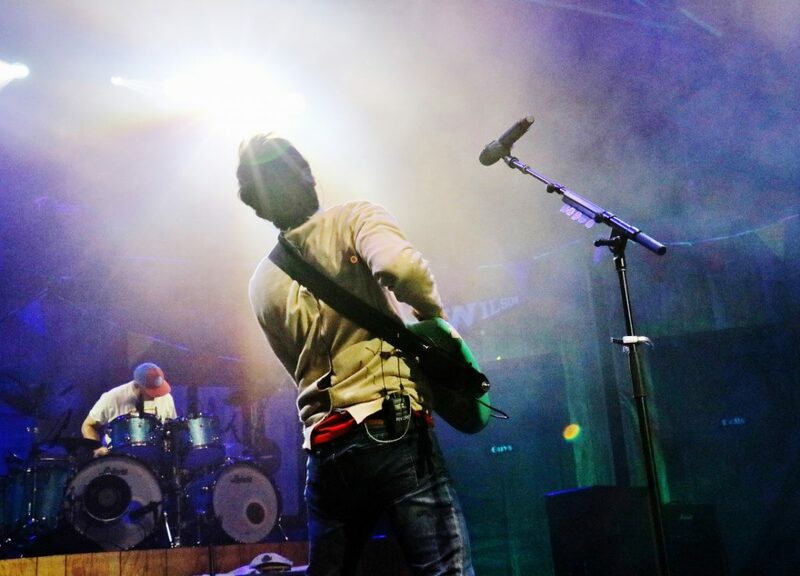 Rivers encouraged the fans to clap along to the closing guitar riff, and they answered happily with applause. “Yeah! Thank you Detroit!”, Rivers shouted. “That was dank!” came from the stage. The band played “Burndt Jamb” while replacing lyrics with those from “Smells Like Teen Spirit” as Ribers made his way back to the stage atop the S.S. Weezer. “That’s right Rivers, you come on down!” Cuomo reappeared from the side of the stage with a black headband and maroon sleeveless Weezer tour shirt. The band rolled through, “I Want You To”, and into new track, “Feels Like Summer”. Amplifying the hot night, flames shot up from the sides of the stage and out of the golden W during the fun chorus. When the seasonal single finished, Rivers asked the crowd, “Are you ready to be blessed? Are you ready to be blessed with the rains? 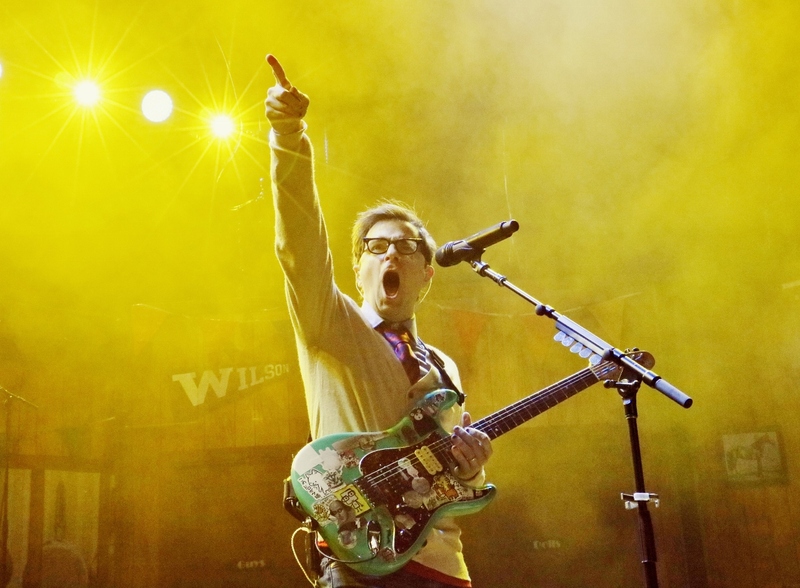 Africa!” Weezer began into their latest single and long-awaited cover of Toto’s “Africa”. Afterwards, the band exited stage left with a wave. The crowd never stopped cheering for a second, encouraging their favorite band to play a few more jams. 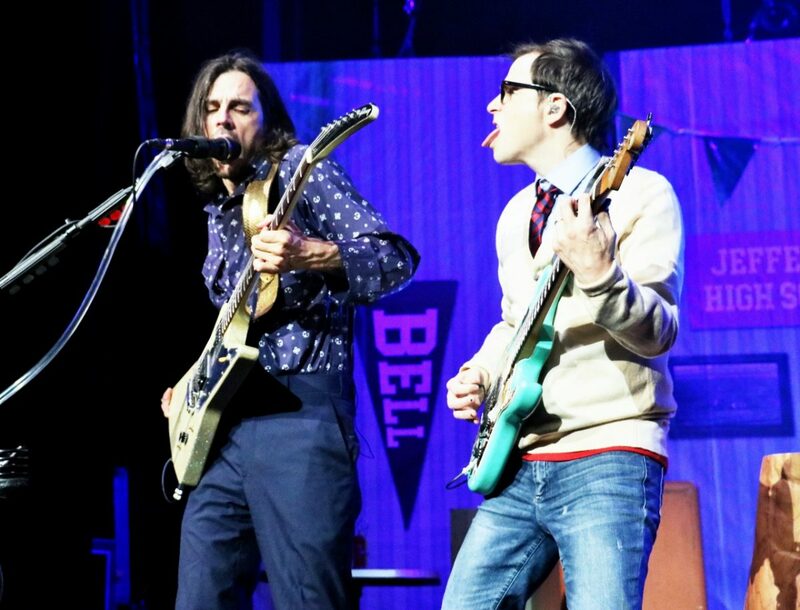 Weezer soon reemerged, returning with Rivers spitting H2O into the air. “Just a wee bit more rock before we go please!” The crowd could not agree with this statement more. After 1996’s “The Good Life”, Rivers showed his gratitude again. “Thank you, Detroit! One more! Say It Ain’t So!” The fans kept the trend of singing loudly along going, as a wall of sparks fell at the back of the stage, mimicking the feel of celebratory confetti. Weezer briefly melded into Black Sabbath’s “Paranoid” to close out the show. Weezer waved and kept shredding to the crowd, til the very last note. Rivers lifted his guitar, then mic stand high. All fellows from Weezer formed a line and bowed together. The audience cheered and yelled back their appreciation for the indelible night. Over the years, Pixies and Weezer have both left a lasting impact on the music world, and are sure to leave audiences impressed at every venue the tour visits. Weezer and Pixies Summer Tour 2018 will continue across the United States into August, wrapping up in Omaha at Maha Festival on August 18th.